Looking for a quick way to sweep you warehouse or gymnasium? This EasySweep machine has you covered. 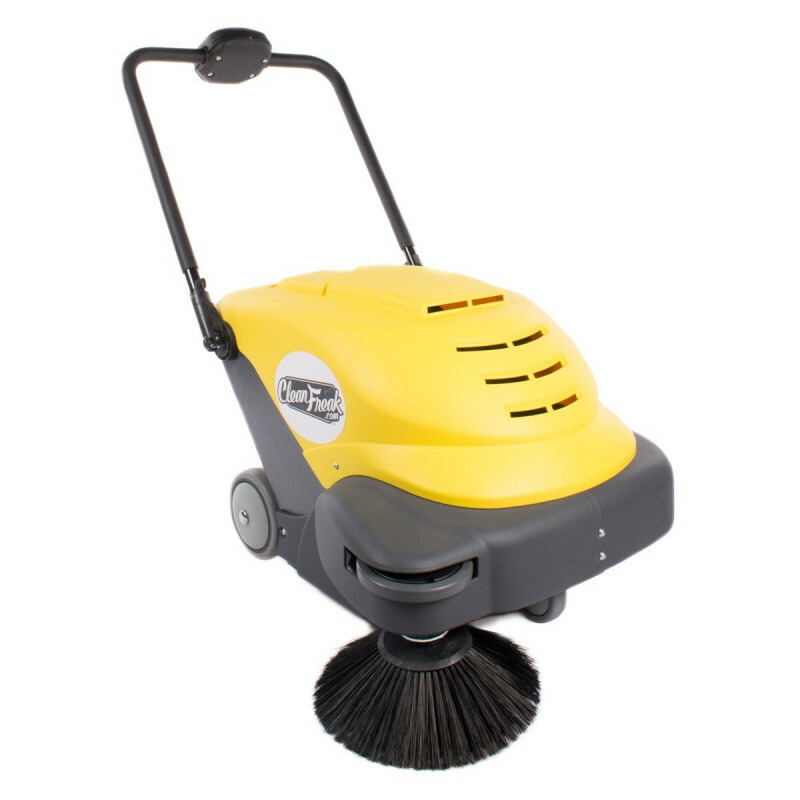 During sweeping, the front edge brush moves the dirt and dust into the center path of the machine which allows for the main cylindrical brush to sweep up everything into a large 9 gallon hopper, all while the vacuum runs to help control the dust and fine materials. 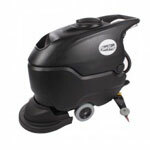 This is the perfect machine to use before scrubbing your floors with one of our walk behind floor scrubber. A 12 volt maintenance free battery and on-board battery charger is included so you never have to worry about being stuck away from an electrical outlet. With a 2 to 2.5 hour run time, depending on your floor, this machine is able to cover a 60,000 square foot facility on a full battery. Weighing in at 120 pounds, this machine is easy to move from work site to work site. The wide 24" cleaning path allows the minimum passes during each cleaning and the automatic shake out filter makes sure that the maximum amount of dust is captured while limiting the amount of dust in the air. For use on hard surface or a carpeted floor. Up to 2.5 hours of run time, 5 hour charge time. For indoor or outdoor use on dry surfaces. Sweeps up to 30,000 square feet per hour. Vacuum motor with auto shake out filter. Works great at helping eliminate the dust on the floors in the shop. We operate a busy 18,000 sq ft gymnasium with basketball court, foam floor under climbing equipment, outdoor carpet, and artificial turf soccer field. This machine adjusts automatically when different surfaces are vacuumed, and automatically shakes out the filter as the machine is used.